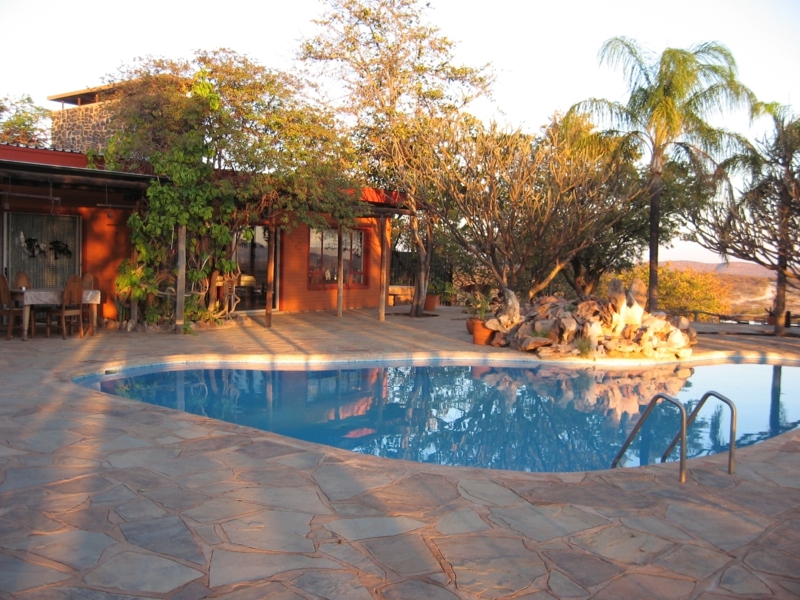 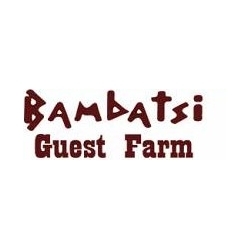 Bambatsi guest farm was one of the first game farms to be established in Namibia. 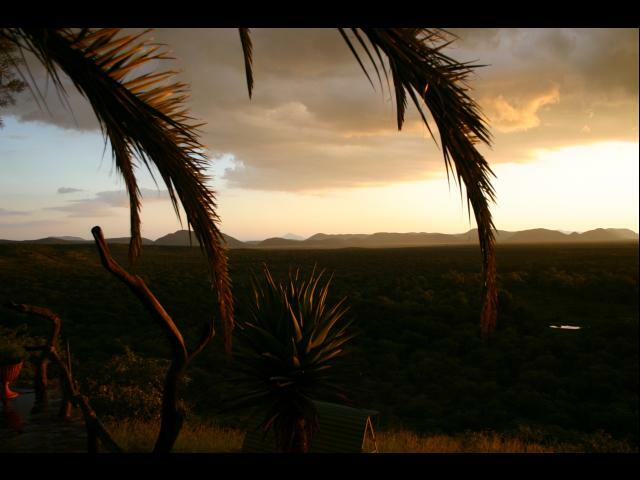 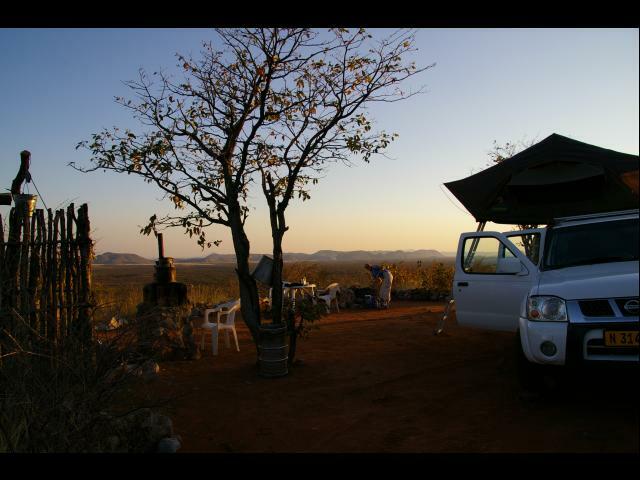 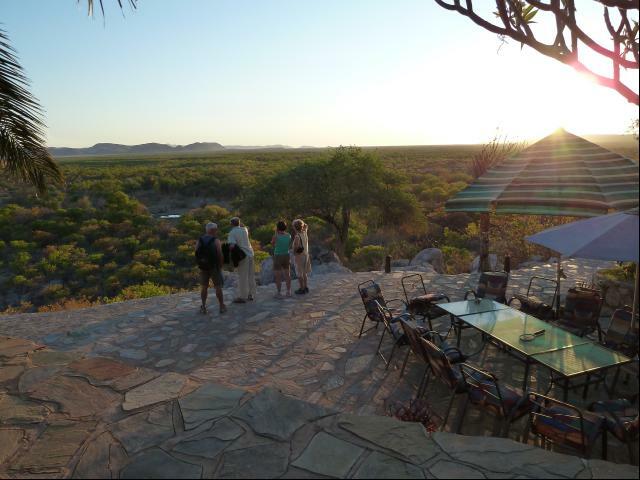 It is a two hour drive away from Etosha National Park and is set on a 1150 m high plateau, giving guests amazing views of the surrounding Mopane landscape. 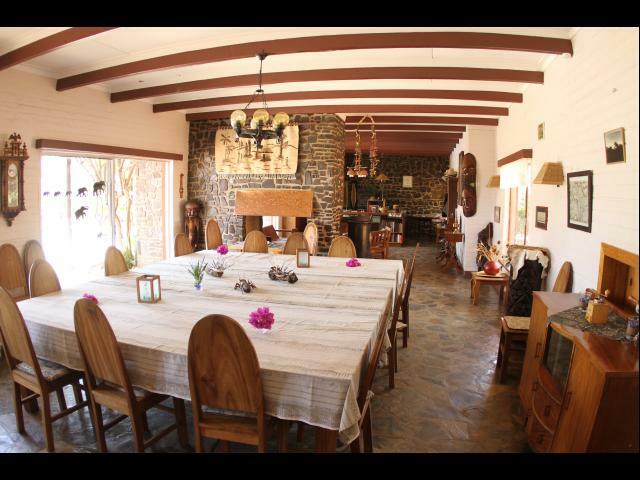 The main building at the guest farm has a bar and guests' breakfast and dinner can be served in the indoor or outdoor dining areas. 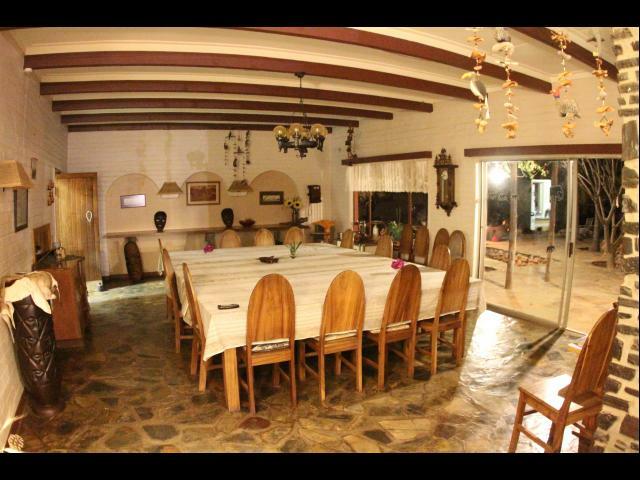 Lunch is also available upon request. 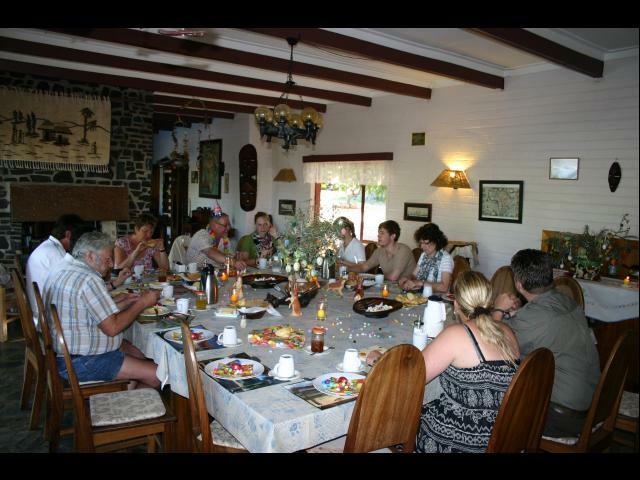 Coffee/tea as well as a variety of cakes are served in the afternoon. 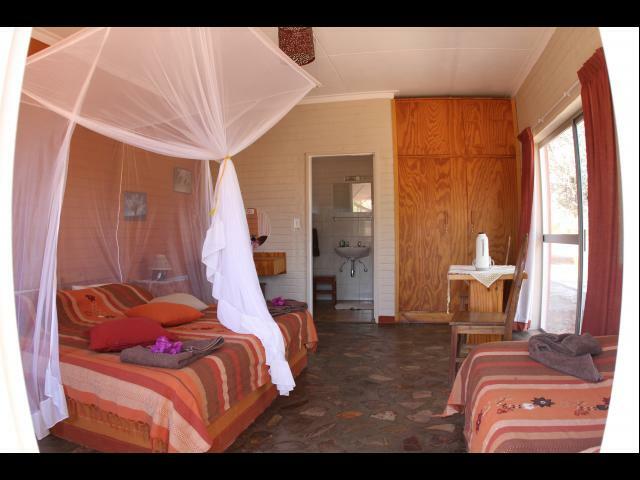 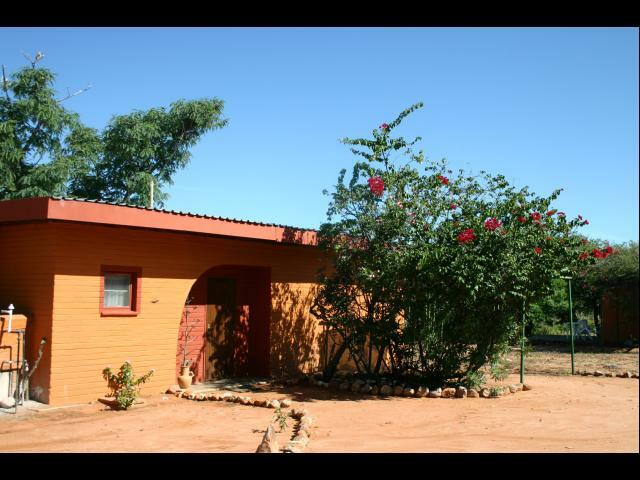 Accommodation at the guest farm includes five double rooms that can accommodate up to two people and have en-suite bathrooms, mosquito nets, international sockets as well as in-room safes. 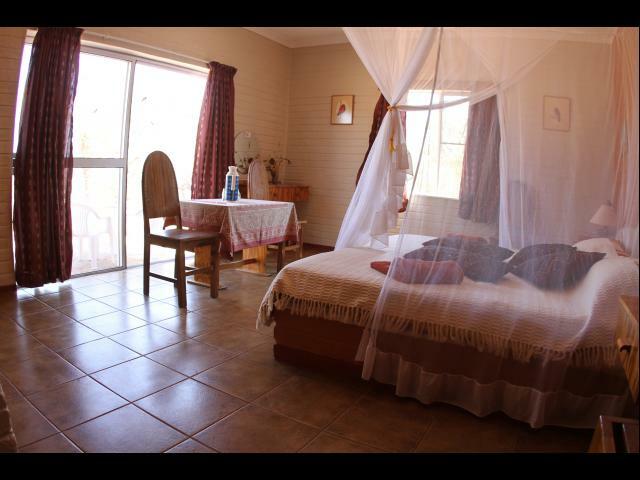 There is a triple room with three single beds and features similar to the double rooms. 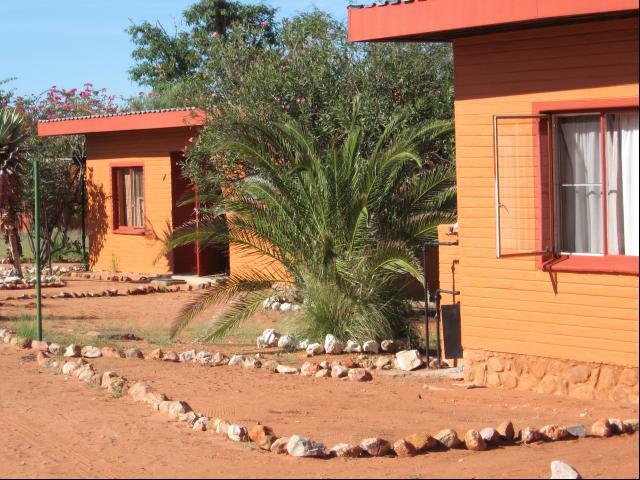 There are two quad room which have four single beds in each unit and features similar to the double rooms as well. 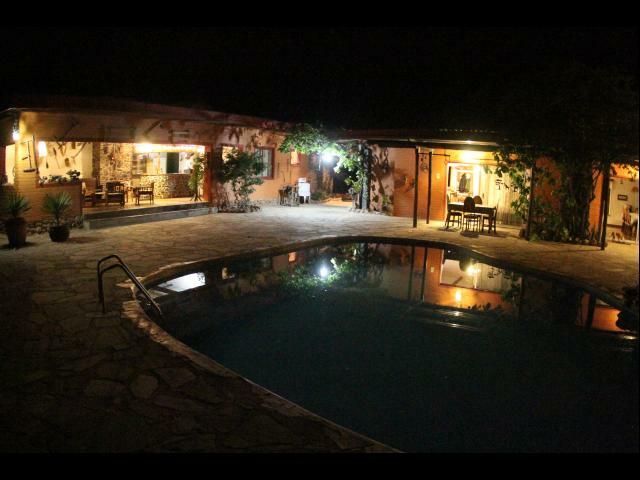 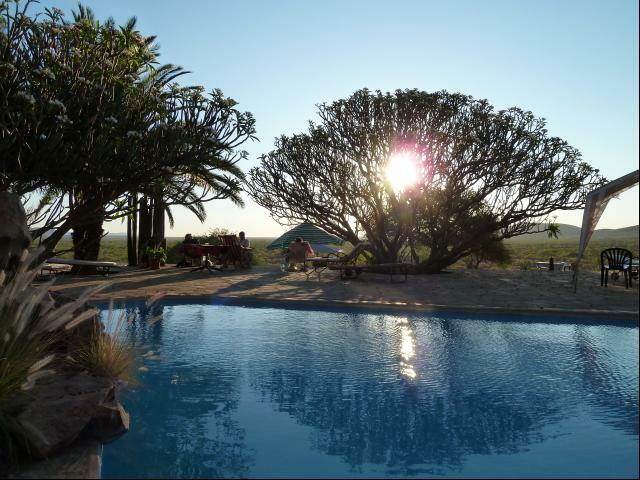 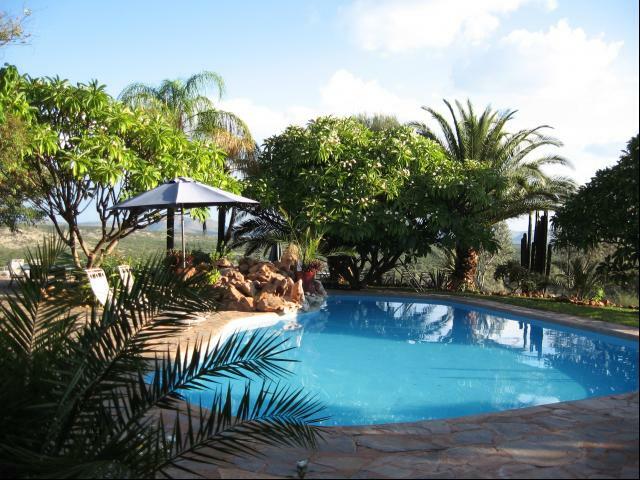 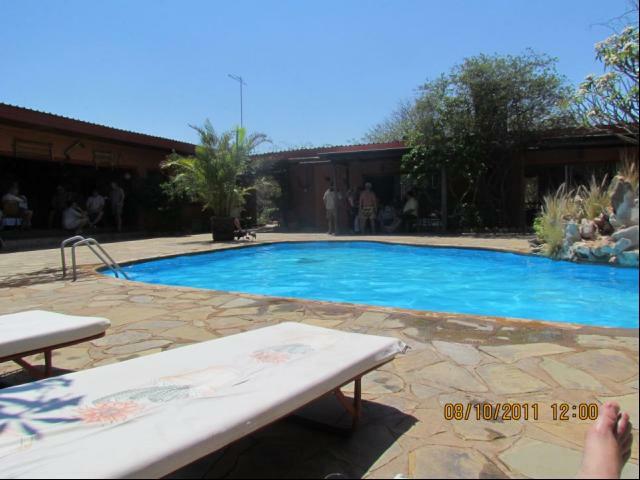 There is a sparkling pool where guests can unwind and this is also an ideal place for sun-downers. 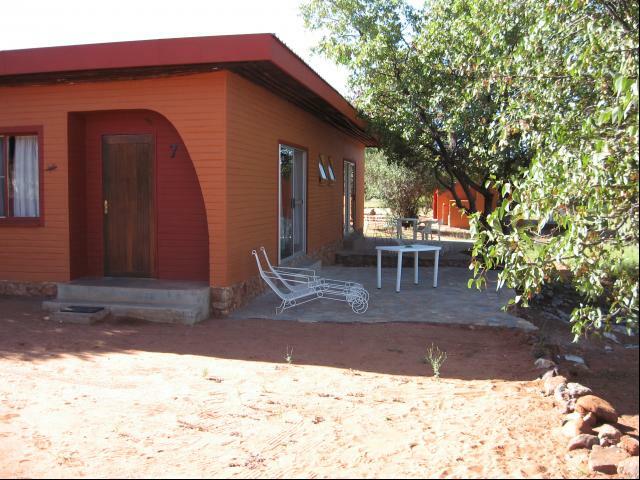 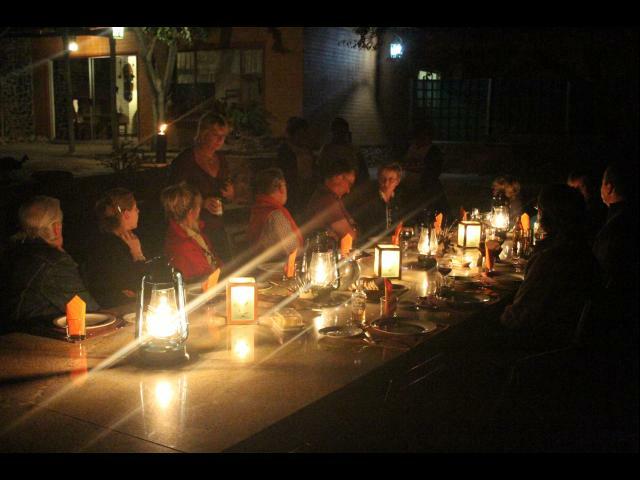 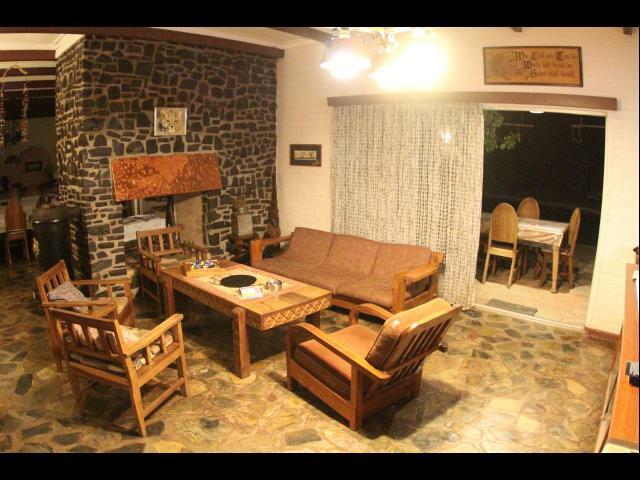 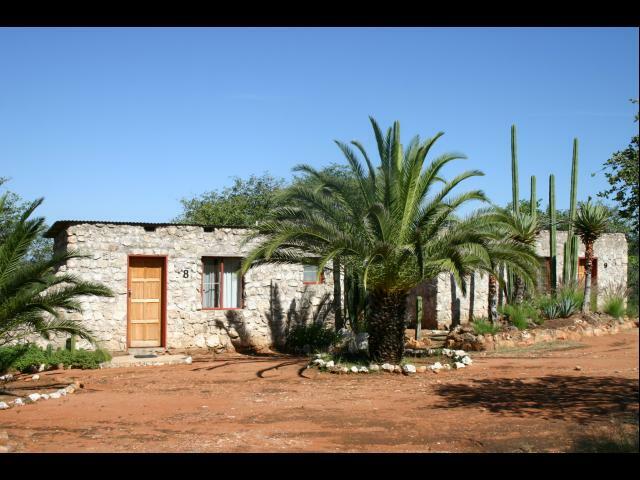 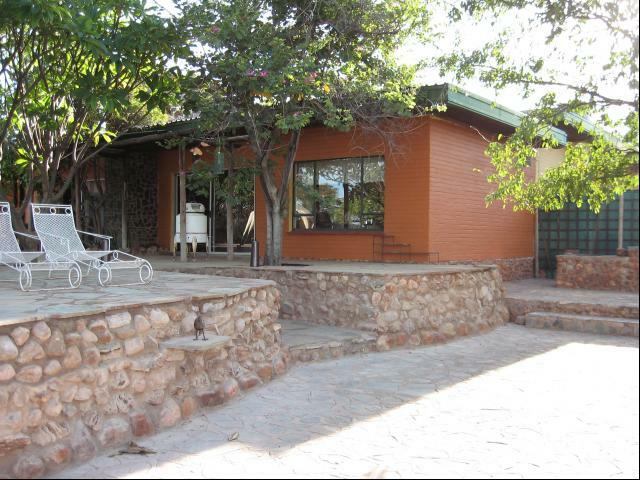 Activities at the lodge include walking trails and day trips to twyfelfontein, vingerklip, brandberg (burnt mountain) and the petrified forest. 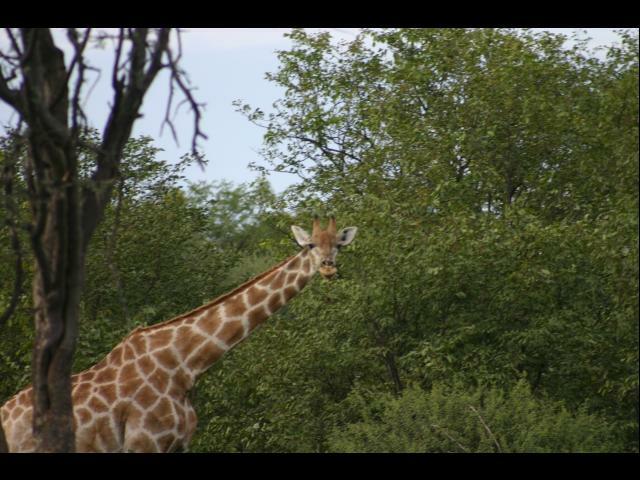 There is also a variety of kudu, oryx, zebra, eland and giraffe at the farm.